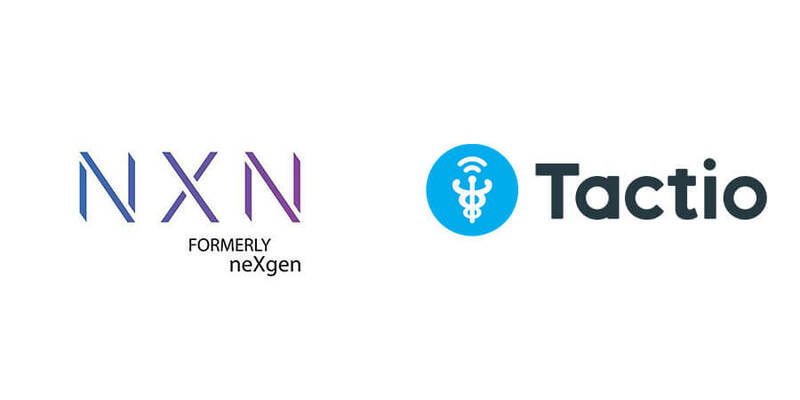 NXN announced that together with Tactio the digital health software manufacturer, the company has developed a very progressive smart healthcare program which gives a much more personalized experience for individuals in relation to their heath. The initial program enables users to monitor themselves on a daily and weekly basis - and shall soon connect them directly with their healthcare provider in a very sophisticated way. This partnership is supported by NXN's digital capabilities providing its in-country digital platform expertise and experience and, Tactio's genuine technological expertise - TactioRPM platform and business savvy in mobile and connected health that will accelerate the adoption of digital health programs in home care areas such as Weight Loss, Diabetes, Hypertension, COPD and CHF as well as wide range of patient-centered clinical applications such as chronic disease monitoring, population health screening, clinical research, post-acute care and pre/post-surgery programs. Tactio's mission is centered on digitizing patients' home care without directly servicing hospitals, clinics and pharmacies. Instead, Tactio collaborates with digital health innovators such as NXN help them rapidly and reliably introduce patient-centered, digital health programs to healthcare providers in their market. The programs consist of localized TactioRPM platforms combining mobile patient apps, clinical portals, connected health integrations (incl. Garmin, A&D Medical, BÜHLMANN Laboratories, Fitbit, Roche, Nonin, Omron, MIR & Welch Allyn), patient questionnaires, digital coaching programs and HIPAA-compliant messaging. Like many other regions, the Middle East has a growing number of chronic patients and post-surgery follow-up requirements. More and more people are in need of healthcare, which places an increasing strain on public finances. NXN believes that remote patient monitoring (RPM) solutions will help the local healthcare systems to meet this challenge in a way that reduces costs while improving the quality of care. Instead of admitting every time the patient to the brick-and-mortar healthcare system, digital health programs are deployed to the patient as a complement to the traditional system, saving visits and helping professionals to focus on the patients that are most in need. "NXN's leadership in the region has been instrumental in providing readily deployable solutions for Smart Cities and Districts, enabling clients across the region to leverage innovative services in their digital transformation journey. Empowered by its Zain partnership, NXN understands the value of shaping a digital future for today's patients that have all become digital consumers. We are glad that NXN is now focusing on digitizing healthcare services and selected Tactio as the digital health platform to make it happen" said Michel Nadeau, CEO of Tactio Health Group. "We are very excited about the partnership and the launch of advanced digital healthcare programs with Tactio by using our digital transformation platform that enables the development and roll out of digital health services in a structured and cohesive way. We believe this will enhance healthcare and provide a more engaging and result driven healthcare service to patients across the region, says Ghazi Atallah, CEO, NXN."